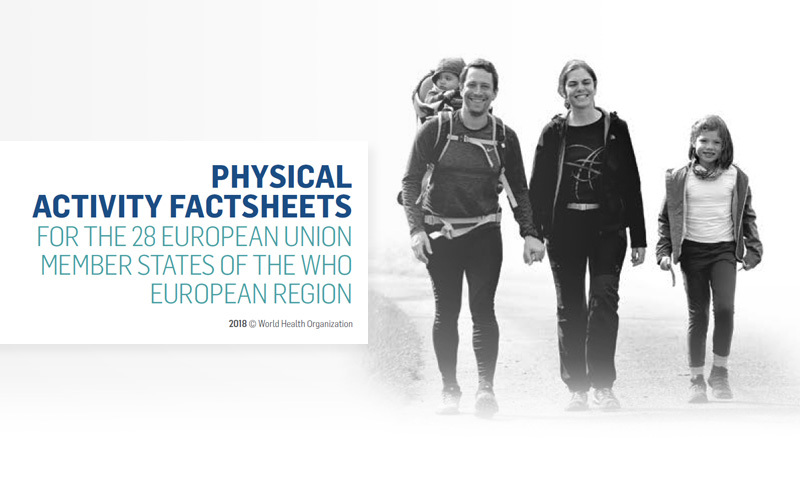 The European Commission supported and cooperated with the World Health Organization (WHO) in the preparation and issuing of new country factsheets on physical activity. Prepared in the context of the implementation of the Council Recommendation on promoting health-enhancing physical activity across sectors (November 2013) by the WHO European Office for the Prevention and Control of Non-communicable Diseases, and the Nutrition, Physical Activity and Obesity programme of the WHO Regional Office for Europe, these country factsheets provide country-specific overviews on the state of and trends in physical activity levels and promotion policies in the EU. "More information and better data on physical activity levels and promotion strategies are essential to underpin policies based on evidence. These new country factsheets on physical activity, which are the result of excellent cooperation between the World Health Organization, the European Commission and EU Member States, will help ensure policy makers at all levels can rely on the solid evidence needed to encourage more people to be active." Since the previous publication of factsheets in 2015, there has been a general increase in countries implementing policies and strategies that are recognised to be effective in promoting physical activity. The increase in the number of countries with a national coordination mechanism in place, as well as dedicated funding for promoting physical activity from multiple sectors, is encouraging. It demonstrates that more countries are taking steps to develop a comprehensive, multisectoral approach to the promotion of physical activity and that the importance of high-level leadership on physical activity is increasingly recognised. The factsheets confirm the excessive levels of physical inactivity across Europe. They also give an indication of the policy areas that are underserved and require more investment. Physical activity programmes at the workplace, including those that aim to increase active travel to work, are the least developed overall and require more attention at the national level. Similarly, the number of reported national actions to develop community schemes for older adults has remained low. An EU-wide overview detailing the method followed has been released together with the country factsheets. The primary source of information for all the indicators was the national focal points on physical activity established in the context of the Council Recommendation.